Rabat- While firing on a migrant boat trying to cross the Mediterranean between M’diq and Fnideq, the Moroccan navy killed one of the migrants, a 20-year-old woman. Alleged photo of Hayat- by Chamal Post. 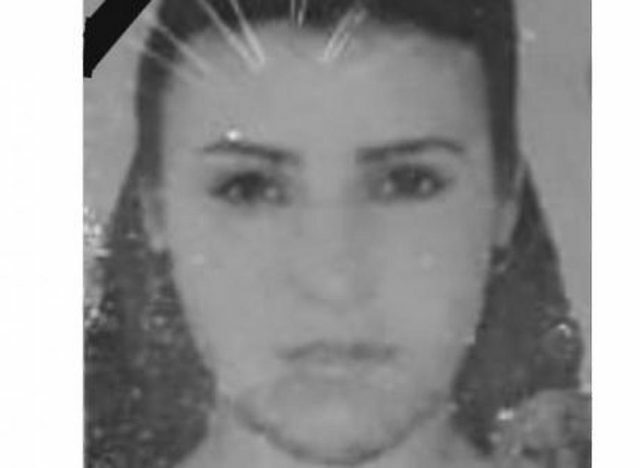 The young woman, identified as “Hayat B,” reportedly died at the scene after she took a deadly shot while aboard a Spanish go-fast boat. The boat was controlled by a Spanish national. 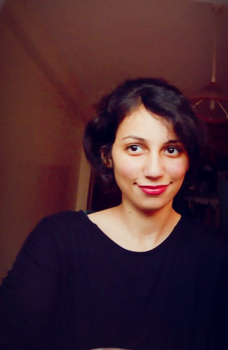 Moroccan electronic news outlets based in the north, Chamal Post, reported that the woman had lived in the Jebel Dersa neighborhood in Tetouan and attended the Abdelmalek Essaadi University of Law campus in Martil, a town on the Mediterranean. 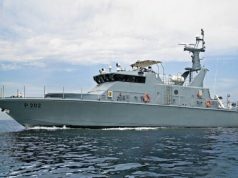 Three other Moroccans on the boat, named as Lahabib (26), Hamza (25), and Mouad (32),were also wounded in navy gunfire and are currently being hospitalized in M’diq-Fnideq prefecture. Chamal Post reported that a “special source” from Moroccan authorities said the migrant boat did not respond to the navy’s warnings, so the navy resorted to gunfire. The incident is the first known time that the Moroccan navy has fired at a migrant boat. 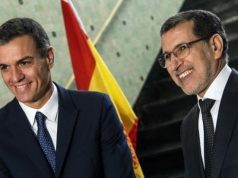 Authorities justified the navy, saying the migrants were not “clearly visible,” and that the Spanish helmsman was arrested, pending an investigation. Lately, Morocco has become strict with attempts at irregular migration to Europe, especially in the north. Moroccan maritime police stopped hundreds of Moroccans trying to escape for Europe from a beach in Martil on Saturday night, September 22. 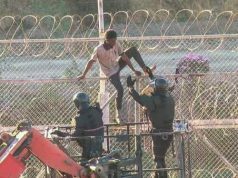 A video of the incident shows migrants franticly making their way back to the shore to escape police. Police have also deployed security barriers at the entrances to northern cities like Tangier and Tetouan to stop migrants from leaving for Europe. They then transported the migrants back to their home cities under strict supervision. 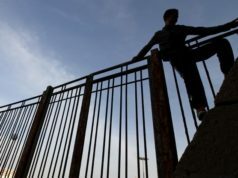 Moroccans account for 13 percent of the undocumented migrants who attempted to reach Europe in 2018 (7,100 Moroccans).